Deafinitely Durian – For A Good Cause! 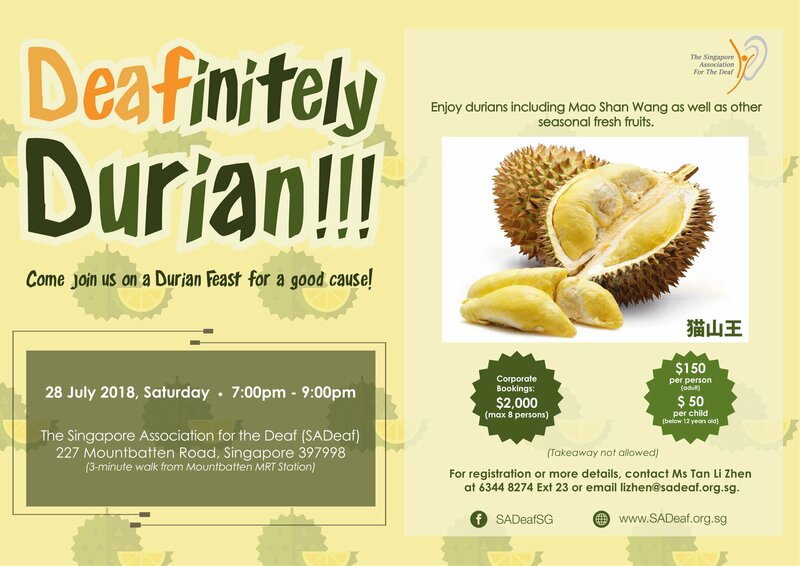 Come join us for our annual event, the “Deafinitely Durian” party and help us raise funds for the Deaf and Hard-of-hearing community in Singapore. You and your family can enjoy a variety of durians including Mao Shan Wang as well as other seasonal fresh fruits, all for a good cause. 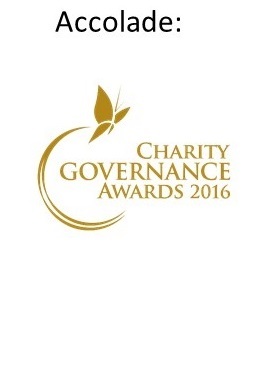 We look forward to your support. 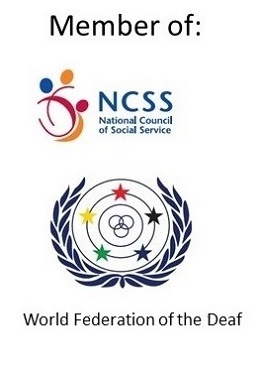 For registration and booking, please contact Ms Tan Li Zhen, Manager (Fundraising & Volunteer Management), at 6344 8274 ext 23 or email lizhen@sadeaf.org.sg for any queries.